First of all, it's worth noting that the hosting from iPage is cheap. For a small monthly fee, you get a lot of unlimited options (domain names, disk space for the site, email accounts, etc.). But behind the low price are hidden problems. For users from America, the ping is slower than other American providers. The rest of our tests revealed comparatively good quality, the site is well-designed, convenient and understandable. And, the provider gives free credits for advertising on GoogleAdWords, Yahoo and Facebook, (although that is common from most popular American hosting providers). A 30 day moneyback guarantee, although it is more difficult to obtain a refund through PayPal. You can pay with credit or debit card, as well as through PayPal. They use the vDeck control panel. The panel isn't one that is particularly familiar, so it takes a minute to get used to. But in general, our experts liked it. We received answers through the ticketing system - the operators respond relatively quickly and correctly. You can also call an American phone number, but we didn't do that. There is also technical support through LiveChat. iPage is a good choice for entry-level projects that target users from America. In other respects, they are inferior to its competitors, hence the lower rating. .aero 99.00 USD .biz 16.99 USD FREE One free domain with purchase of a new web hosting plan for 12 month contract term and more (for shared hosting packages) and for 1 month and more (for VPS and dedicated hosting). .camp 33.99 USD .co.uk 25.98 USD FREE One free domain with purchase of a new web hosting plan for 12 month contract term and more (for shared hosting packages) and for 1 month and more (for VPS and dedicated hosting). .life 37.99 USD FREE .mobi 16.95 USD .name 13.99 USD FREE One free domain with purchase of a new web hosting plan for 12 month contract term and more (for shared hosting packages) and for 1 month and more (for VPS and dedicated hosting). .net 11.99 USD FREE One free domain with purchase of a new web hosting plan for 12 month contract term and more (for shared hosting packages) and for 1 month and more (for VPS and dedicated hosting). What is written about in reviews of iPage.com most often? This company accepts an unlimited number of domain names in one account, which is convenient, but instead of the usual array, they use vDeck. This hosting does not support Cron, SSH access and SFTP and when I tried to find the necessary information, their site reference portal was not very useful. For the migration of your site, even if it is the first time, you have to pay. Website scope limited to 6 pages. And it’s very very slow - I optimized everything possible thing, there was a minimum of content on the site, no extra plug-ins, but the site’s load speed was still 9 seconds. - Useful step-by-step tutorials and manuals with screenshots. - Renewal prices jump to $8/mo. 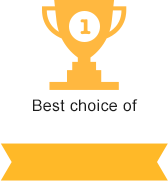 In general I was satisfied with their services and had absolutely no issues with setting up hosting and managing my client's site, so I would recommend it. I have approximately 40 sites with this hosting service, but their databases are on other servers, this host services requests and the load is minimal. The average ping from Yandex is 3000-5000 ... From time to time they send me messages that my sites have a huge load and suspend their work for a day. Today they have sent me a message that there was a ddos attack and suspended them all - probably it was just an SAP bot that checked sites. In short, if you keep just a few small sites there, then the hosting will work for you, but vps or something else is better. 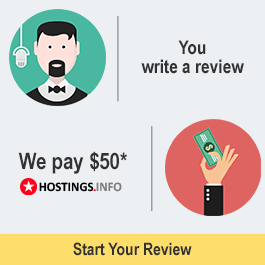 I've been using this hosting company for about a year. I bought this hosting for a personal blog, WordPress step by step - an online project dedicated to studying one of the most popular blog engines, as well as everything that is connected in anyway with the Wordpress theme. WordPress step by step is for anyone who wants to understand all the subtleties of blogging - the 21st century profession with the goal of creating an additional, if not main source of income. Installing WordPress with ípage does not take more than five minutes. There were problems with the site, but technical support worked as advertised! There is a 25GB restriction on disk space, although "unlimited" space is indicated. I don't like this hosting. I've been using it for a year! Loading pages is very slow, and often there is no access. I installed Alexa for control, sent out screenshots to support, etc. In response: sorry for the inconvenience, clean the cache, now I have a lot complaints, etc. Support responds quickly, but the impression is that they are just doing a reload of services (which is enough for 1-2 days). I wouldn't even bother asking for a refund. The hosting is terrible. Sites aren't available a lot of the time, pages load very slow, two to three times a day, there is an error connecting the database ... in general, it's a nightmare!! I have 5 sites on iPage. It keeps freezing. All I'm trying to learn is if IPAGE itself is freezing or there are other problems too. I moved my site to this hosting, the speed is normal, and I haven't had to contact the support because everything works! I've been using this service for more than half a year. Tech support of course, is high quality, and resolves almost everything, but the problem is that because the site doesn't work, have to contact them a lot. There are a lot of problems with the database. In short, I will look for another one in Europe.